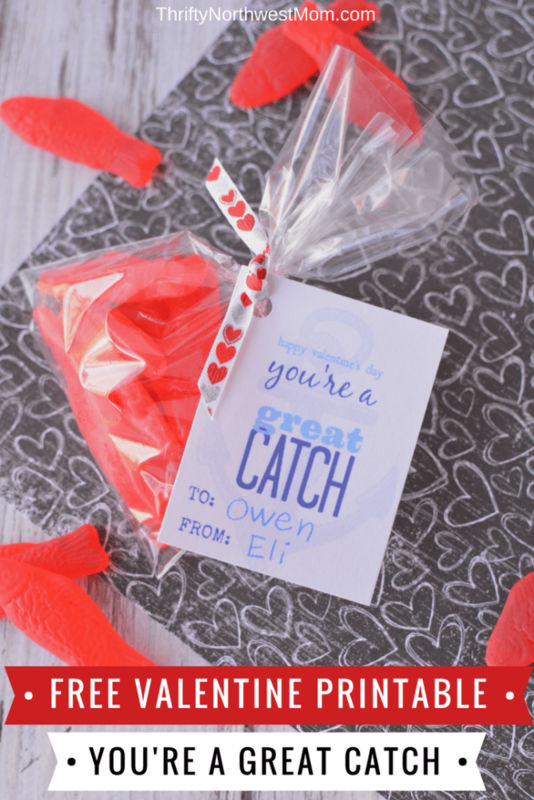 Free Valentine Card Printable – “You’re a Great Catch” for a healthy or sweet treat! If you head to the stores, there are so many different options of Valentine cards for kids to give. 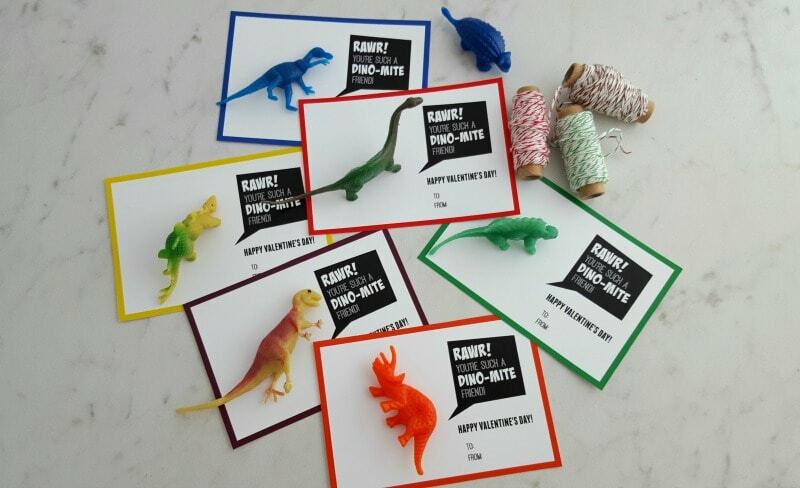 However, we love the idea of giving handmade cards and these are perfect to hand out to both kids and adults (especially if you can give someone their favorite candy). 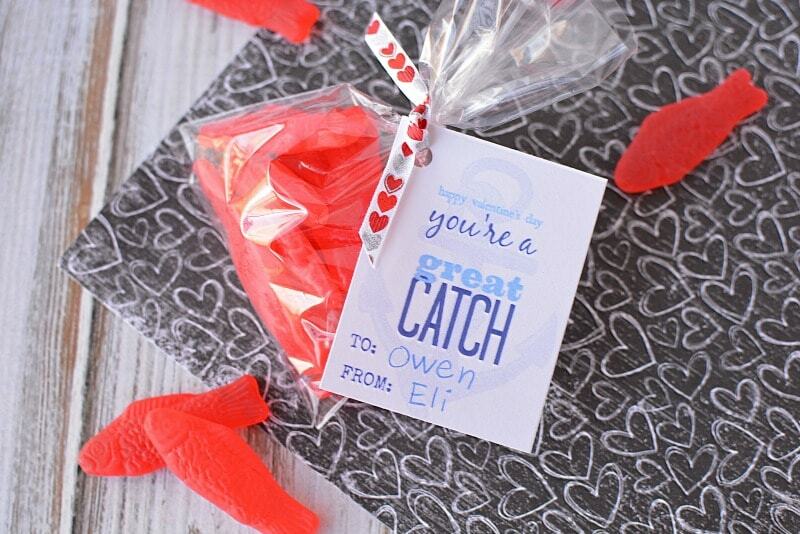 This “You’re a Great Catch” printable can be paired up with Swedish Fish for a yummy treat. 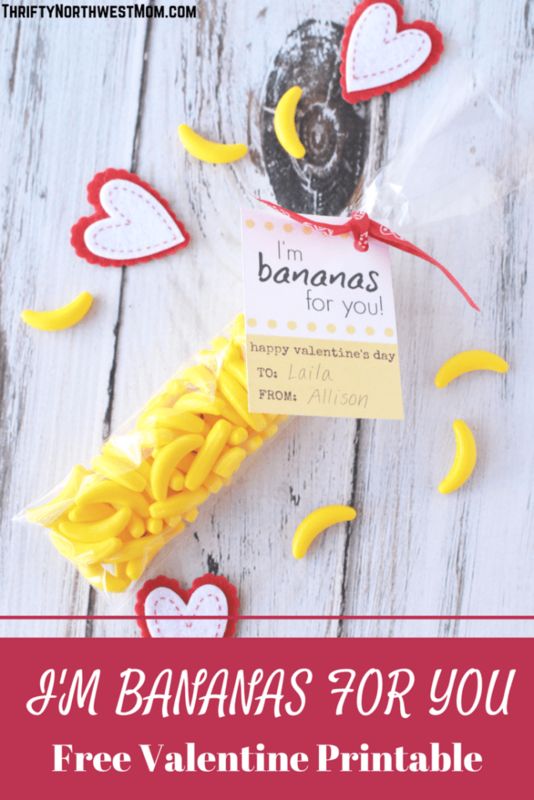 If you’d prefer to give a healthier snack but still adding some fun on Valentine’s Day, make up little baggies of Goldfish crackers or just buy the pre-packaged Goldfish crackers to tape these cards to and you’ve got a perfect Valentine’s treat, especially for the school crowd (preschoolers or elementary kids) without adding any sugar. As we mentioned, there are several options of treats to include with the “You’re a Great Catch” valentine’s card. 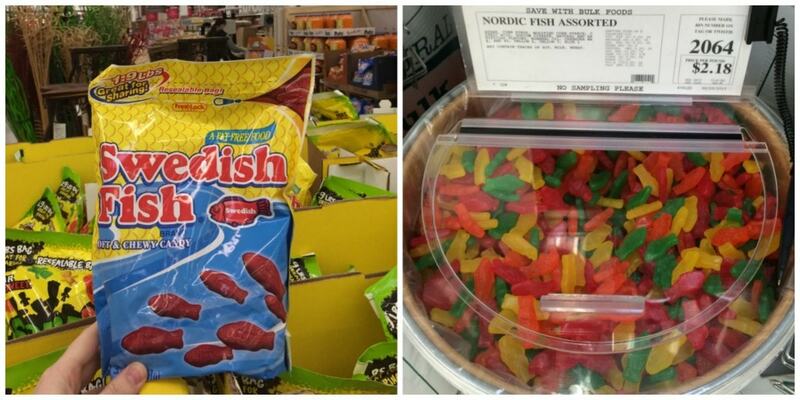 You can use goldfish or Swedish fish. You can also buy the Goldfish in bulk in a large box either at Costco or Winco as well. If your child’s school requires pre-packaged items, then you can buy the packaged Goldfish snack bags & tape the printable to the front. 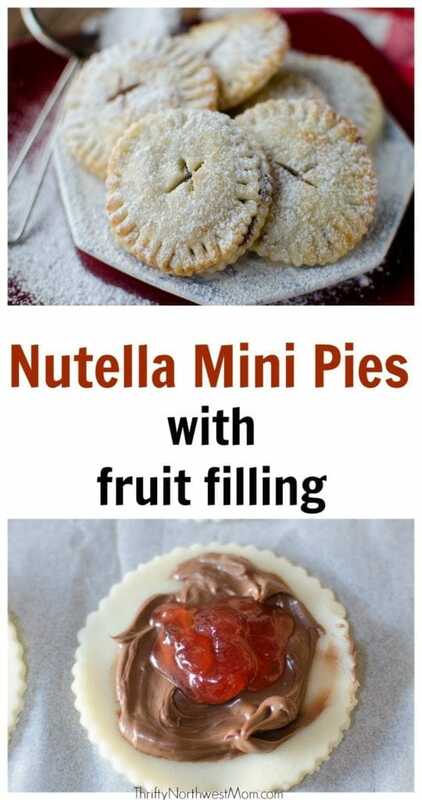 Such a cute & easy Valentine & you can make this healthier or a treat, whichever you prefer! 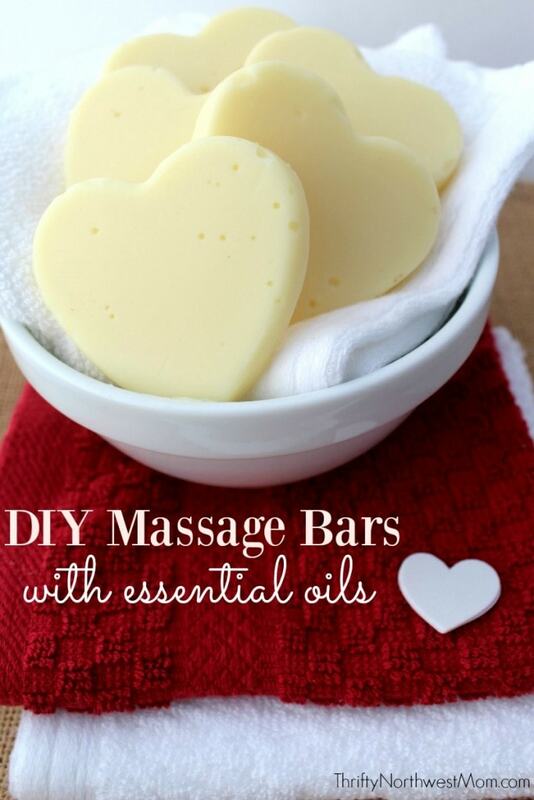 Find more Valentine’s Day recipes, deals, crafts & more we’ve shared.